One Person has died after the vehicle he was travelling in swerved off road and plunged into a river in Phalombe district. The incident is reported to have occurred on Friday, May 4 2018. Phalombe Police Publicist Constable Innocent Moses identified the deceased as Affick Kennedy Magamba. Moses said the incident happened around midnight of the above stated date at Naminjiwa in the district. “The vehicle with registration number BS 7267 carrying Escom Transformers and other equipment was travelling along the Phalombe main road. 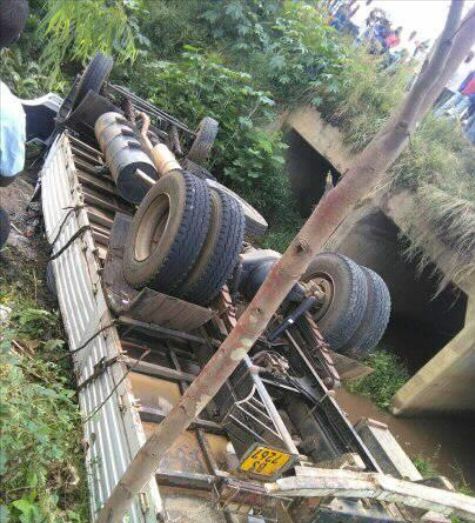 Upon reaching at Naminjiwa, the driver lost control of the vehicle and as a resulted the vehicle swerved off road and plunged into a nearby river, said Moses. Due to the impact, the deceased sustained serious injuries and was pronounced dead upon arrival at the hospital. Meanwhile, police are advising all road users to follow all road signs and to be alert when driving on the roads of Malawi especially at midnight.